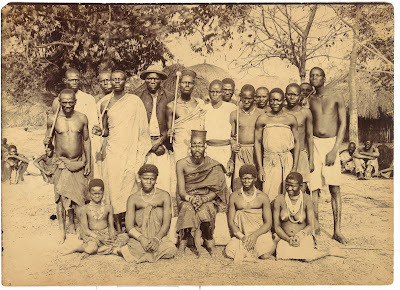 Below are some photos that I have sourced from the Society of Malawi on the Ngoni people during the early period of the British occupation of Malawi. The captioning is from the Society and has largely been kept intact except in a few cases where I have added a few words for clarification. 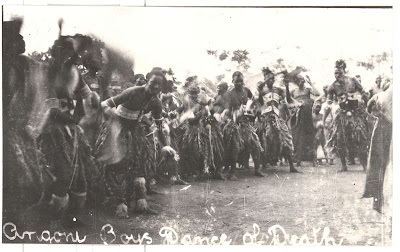 Copyright Society of Malawi, all rights reserved. 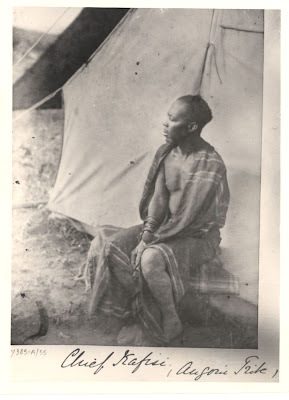 Chikuse, the Angoni King of the Maseko Ngoni in Central Nyasaland(present day Malawi). Mentioned in Montague Keith's 'Far Interior'. 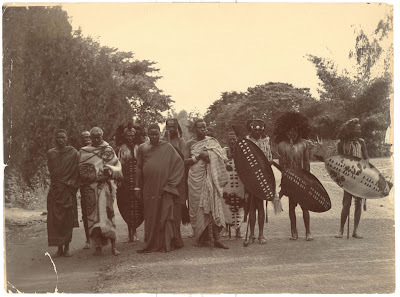 Angoni Warriors at King George V's Coronation celebrations, Zomba, Nyasaland (present day Malawi) 1911.' From the Brown Estate. 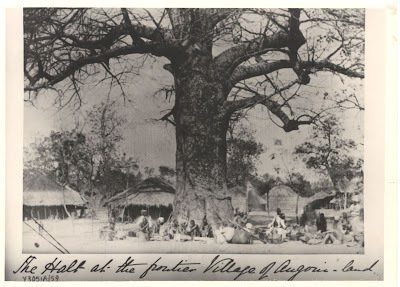 Postcard: 'Angoni Natives.' 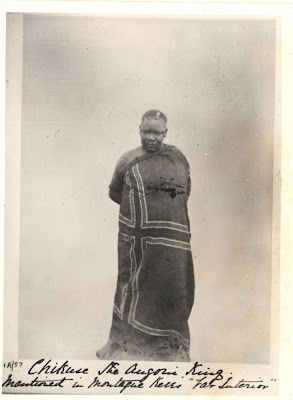 Reverse reads: 'Issued by African Lakes Corporation, British Central Africa and 45 Renfield Street, Glasgow. Inland 1/2d, Foreign 1d.' Apparently, if this was sent to a foreign address, there could not be any text written on the back, except the address. 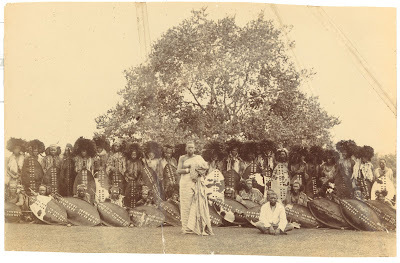 Troop of Angoni Dancers who came to the Coronation festivities of King George V at Zomba, 1911. 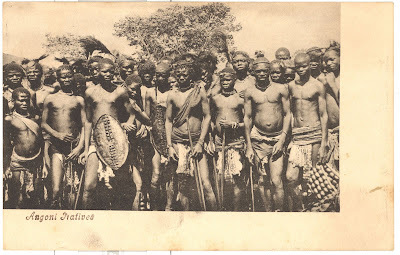 Descendents of the Zulu who raided Nyasaland 50 years ago.' This photo came from the Brown Estate and was not captioned. Frank M.I. Johston in 1983 bought Arthur H. Walker's album and this same photograph was in it, captioned as above. Coronation Day, King George V , 1911. 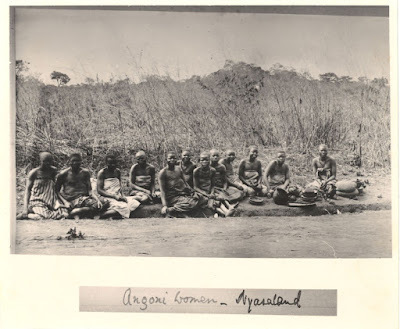 Angoni Tribesmen resting after having given a Royal Salute (Zulu Style) in the presence of H.E. 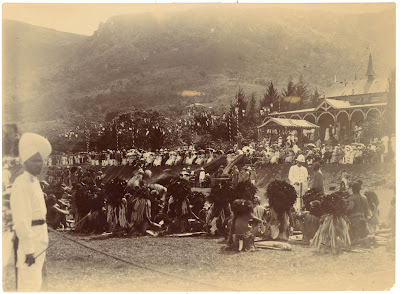 the Governor, Sir William Manning, on the Gymkhana Club grounds at Zomba. From the Estate of Henry Brown. 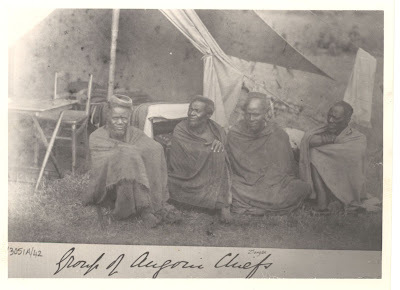 Chief Zlangea, Commander-in-Chief of the Angoni forces. 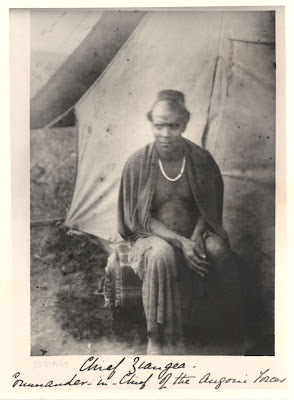 Probably during the war with the British. 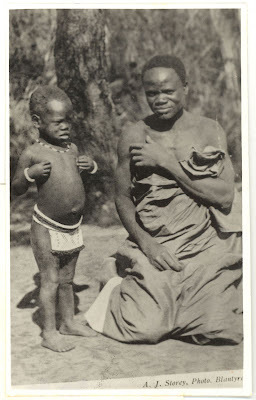 Copyright Society of Malawi, all rights reserved.